Original Style has teamed up with award-winning interior blogger, Stacey Sheppard, author of The Design Sheppard, to present top interior trends for 2019. 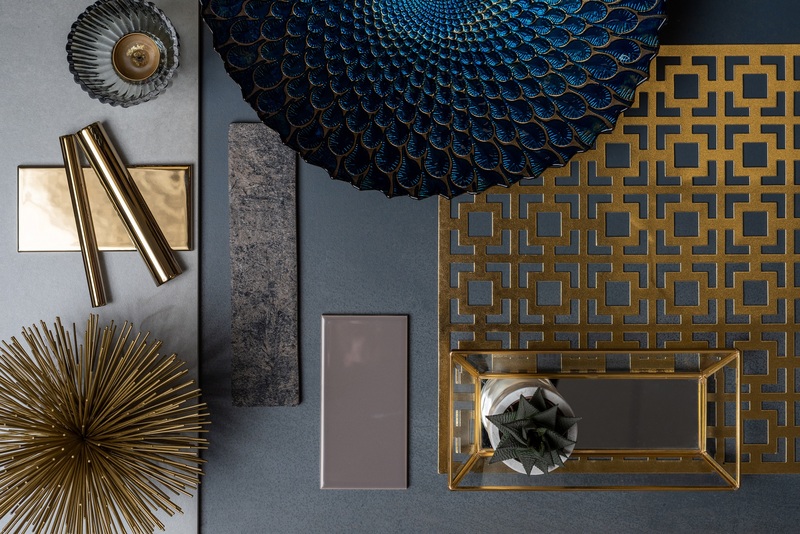 From ‘Rough Luxe’ to ‘70s Revival’, 2019 is set to be a year full of colour and textures and Original Style has a tile to complement each of the following on-trend looks! 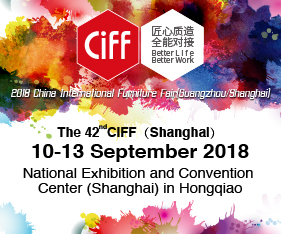 Industrial décor continues to be popular amongst interior enthusiasts, but it can be difficult to integrate this style into domestic settings. Through the incorporation of luxurious finishes and accessories, warmth and elegance can be brought into an industrial-inspired space. “Rough Luxe is where refined luxury meets rough industrial finishes” comments Stacey. “Expect to see warm metallics like brass and gold, paired with exposed brick and concrete”. The use of bold colours in kitchen settings is set to soar in 2019. “With kitchens in deep navy blues accompanied by statement metallic splash backs, we are done playing it safe in the kitchen and we are seeing some really bold statement colours coming through” comments Stacey. 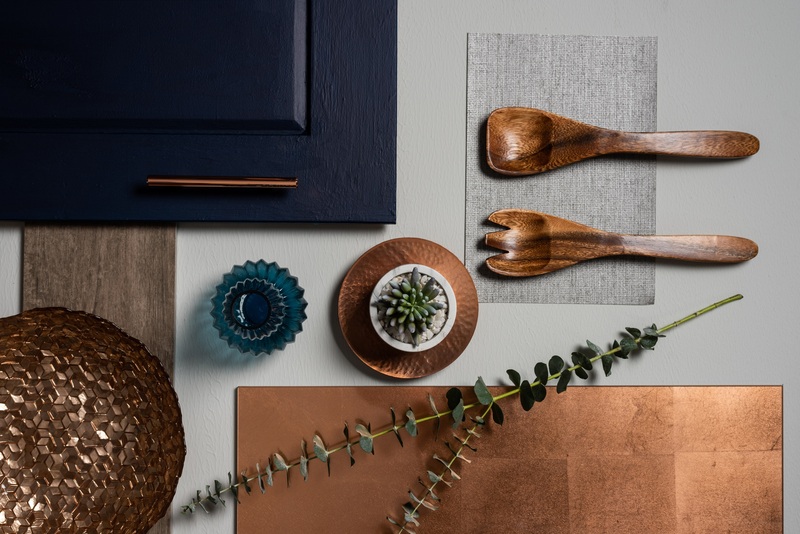 To achieve this look; team Original Style’s Copper Leaf glass tile with dark hues, greys and wood-effect floor tiles, such as Lignum Taupe, for a statement kitchen that leaves a lasting impression. With the arrival of fringing on home accessories, bold colours and patterns; it’s time to welcome the return of the experimental glamour of the 1970s! 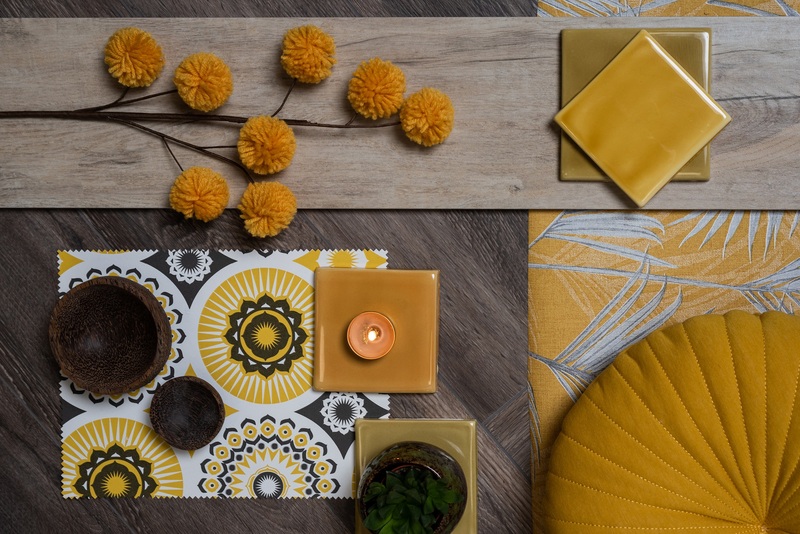 “Colour wise we will see a strong focus on rich, earthy tones like mustard yellow, ochre, olive green, chocolate and camels such as Dulux’s Colour of the Year 2019; Spiced Honey” says Stacey. When it comes to neutral colours in interior settings, a variety of palettes have come and gone over the years, from the very dated Magnolia to the more recently beloved Grey. However, it’s now the turn of the New Neutrals. “Think tea rose, lavender, mint, lilac and pale peach shades” says Stacey. 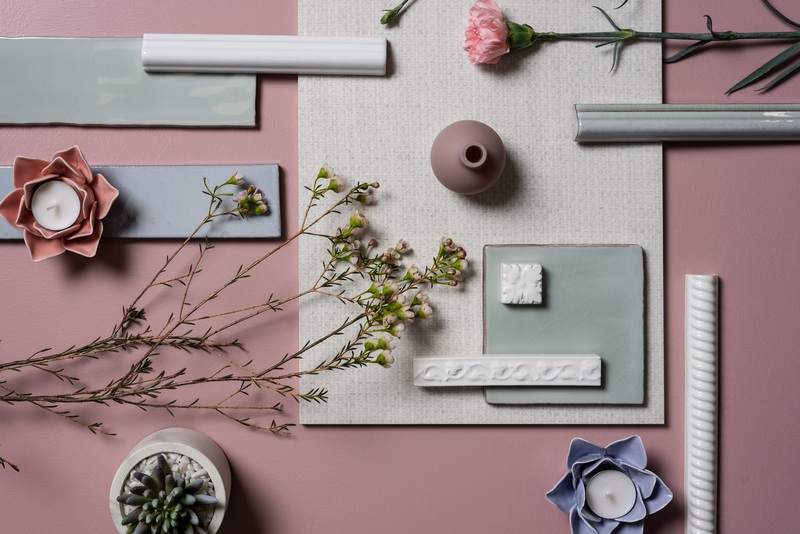 “Pastel colours in a more muted shade are ‘in’ in a big way and are perfect for those who are looking to create bright, open spaces”. Materials such as wood, rattan, seagrass, wicker, cork and bamboo naturally provide warmth and texture to spaces. 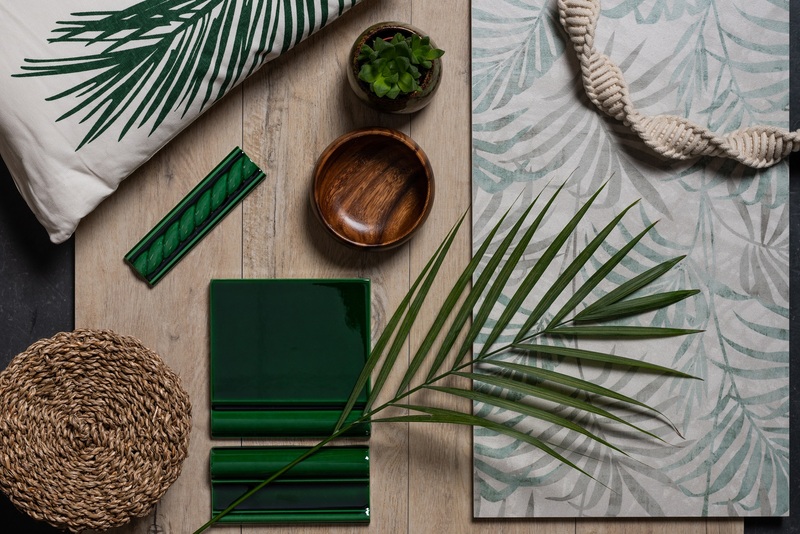 When paired with Original Style’s palm print tile, ‘Hot House’, and ‘Cream Natural’ wood-effect tiles; expect to be immersed in a tropical paradise.